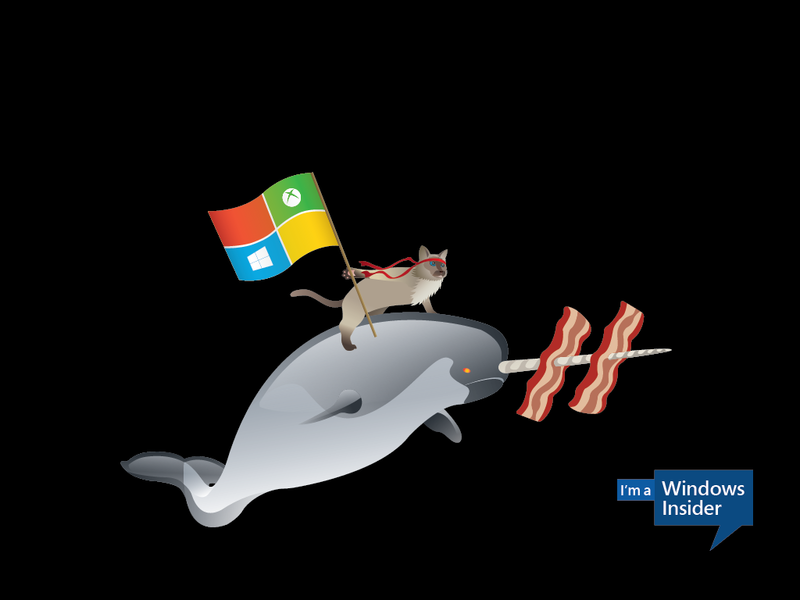 Because who doesn't want a Windows 10 background with a cat riding a narwhal, with bacon? 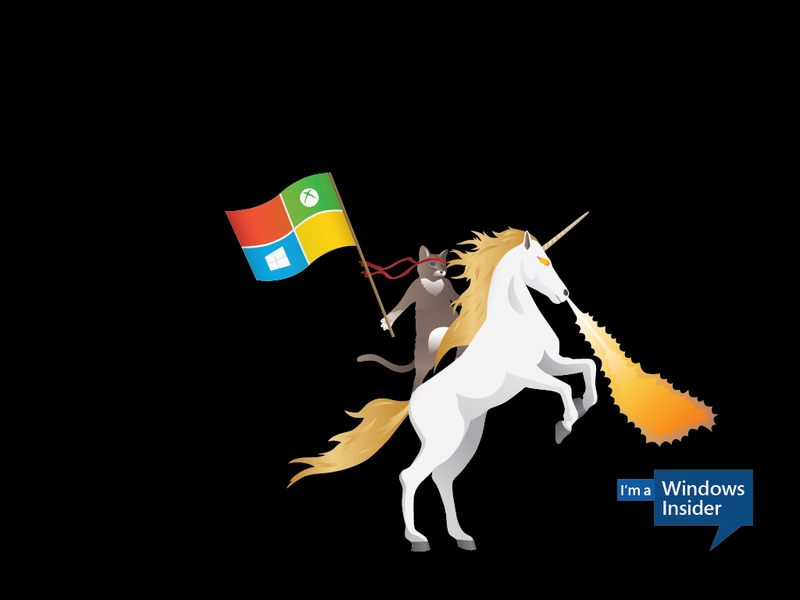 Inexplicably, a ninja cat riding a unicorn became the symbol of Windows 10. So now you can download your own custom wallpaper to get ready for the release of Microsoft’s new operating system. Naturally. 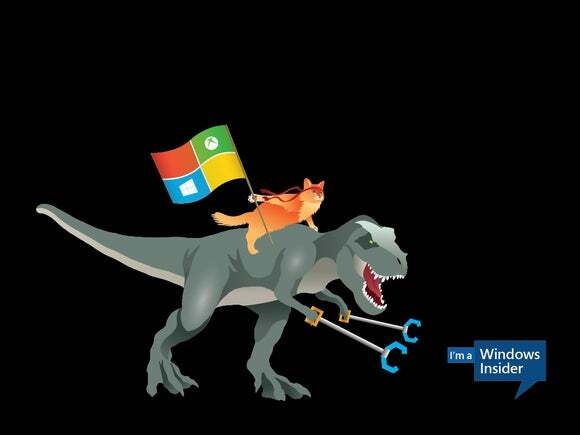 As Windows Insider Gabe Aul explained, the ninjacat is now riding three custom steeds: the original unicorn, a narwhal with bacon impaled upon his horn, and a fierce Tyrannosaurus Rex. Microsoft formatted each of the images in different resolutions for different device form factors, from a massive 3840 x 2160 down to the 310 x 102 format used as a background for the Microsoft Band. Why this matters: For years, Microsoft’s been a staid, no-nonsense company without any (public) sense of humor. But Windows 10 was crafted in conjunction with the community, and the culture surrounding it has adopted some of the give and take. So it’s not surprising to see some of humor leak into the Windows 10 release, too. And, of course, a nice 20 percent discount on computer hardware doesn’t hurt, either. We’re nearly a week away from the launch of Windows 10, and Microsoft’s ramping up.